THIS Is What Fukushima Is REALLY Doing To The Oceans After 5 Years! If you spend too much time on the wrong side on the internet you may find yourself paranoid about many things. 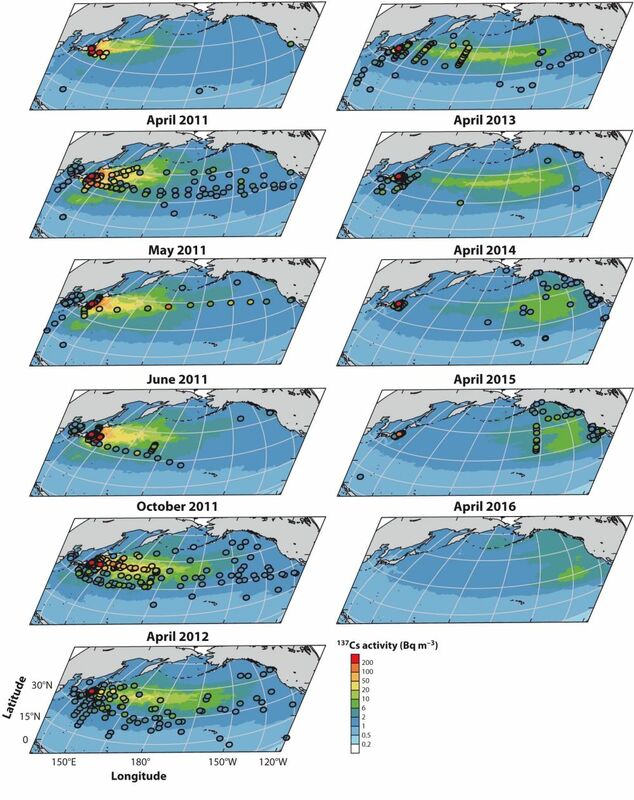 One of them is that the Fukushima nuclear disaster is turning the entire Pacific Ocean into a dead zone. THIS IS NOT TRUE! This is a map showing how the radioactive waste from the Fukushima disaster slowly fades through the years. The radioactive atoms are sinking or being dispersed. Instead of spreading fear we should focus on facts and fixing the problem. So there it is, one less thing to stress about!